This personalized cutting board is engraved on our most premier wood, African Mahogany. This beautifully crafted board is an amazing deal and it is too good to pass up. Mahogany wood has a tendency of giving off a stunning shimmer when oiled with conditioned and is placed in the right lighting. 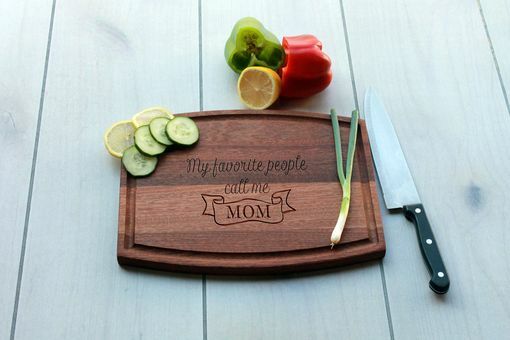 Our custom cutting boards are the perfect gift for both family and friends. These personalized cutting boards are also excellent gifts for weddings, anniversaries, and housewarmings. 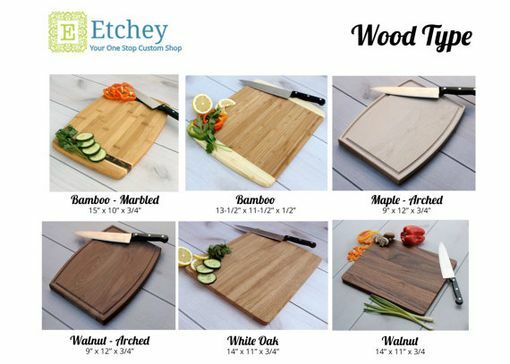 Whether you're displaying this one-of-a-kind piece as art in your kitchen or prepping the family dinner, this wood cutting board provides a unique and personal touch.